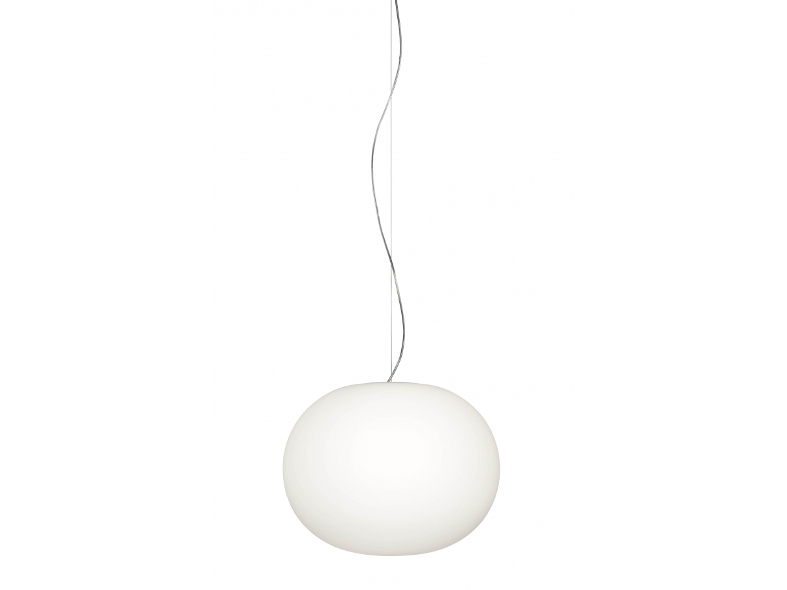 Suspension lamp providing diffused light. 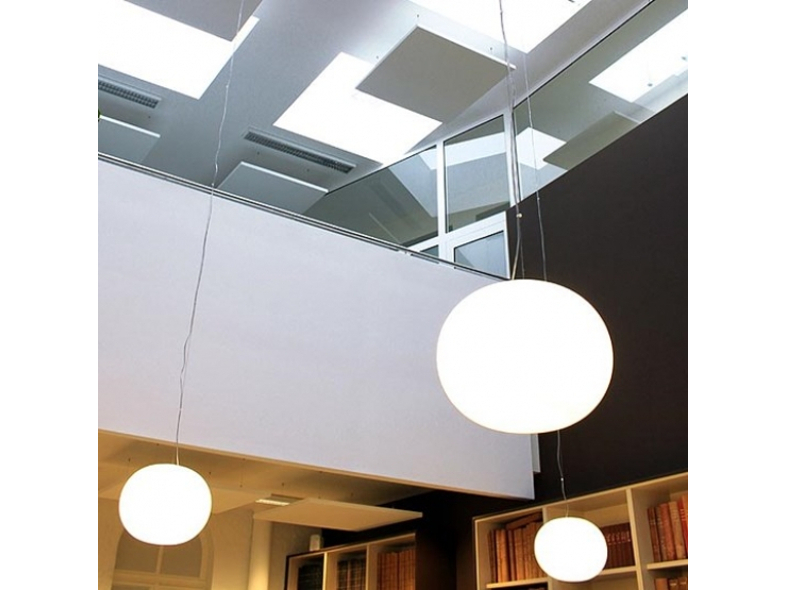 Diffuser consisting of an externally acid-etched, hand blown, flashed opaline glass. Transparent, injection moulded polycarbonate diffuser support. 30% fibreglass reinforced injection-moulded polyamide rose; pressed and galvanised ceiling fitting. Steel suspension cable.